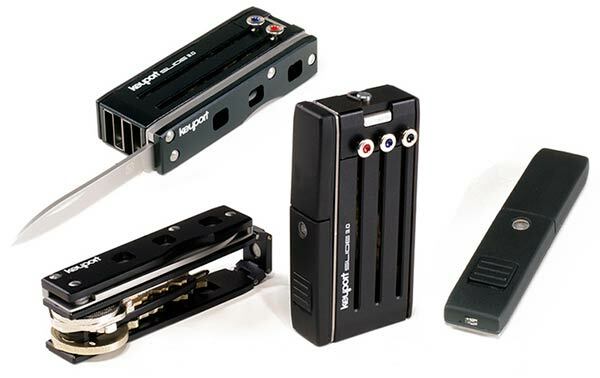 Too difficult to select among thousands of products available in the market, some of them offers almost similar pattern but representing different brand name and some of them are innovative and user friendly according to the perspective of current user requirement for daily purpose, in this article all keychains are not exclusively for vehicles, cool keychain for guys includes most popular to hi tech, simple to luxury and stylish in the list. 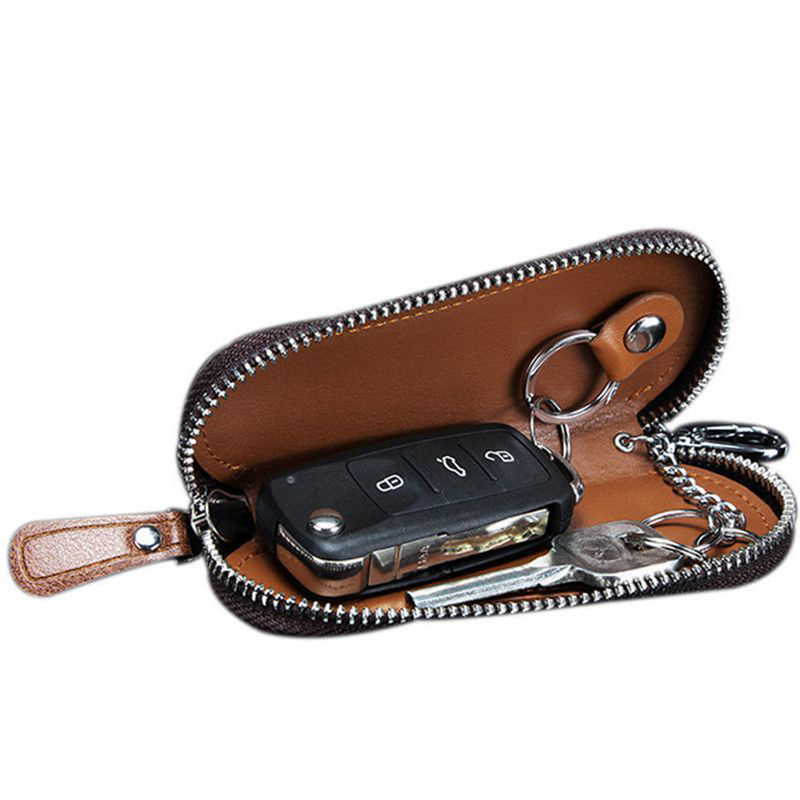 A product of Fasot, it has a 6 slots inside with an additional ring for remote car key, leather material used which fade it out by the time and size of this keychain wallet comes as 4 inch long, 2.5 inch wide and 1 inch thick, which is a standard size to carry or put in a pocket with full slots. 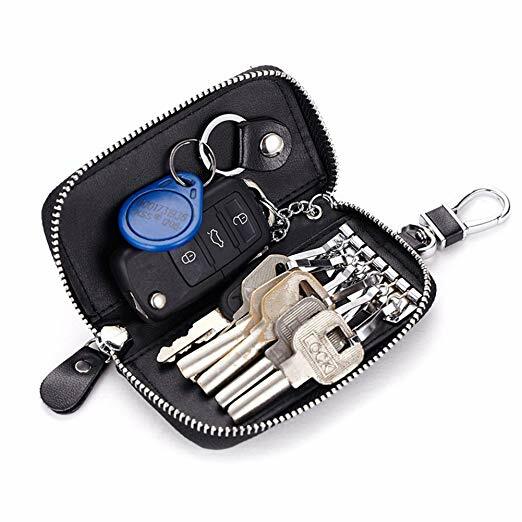 A product of contacts, very handy, stylish and popular so far, smaller in shape and size due to a limited capacity of 2 slots of key rings and a big slot for car remote key, this bag has enough space to secure up to 2 keys and car remote by a soft zipper, made of pure leather and available in three colors. 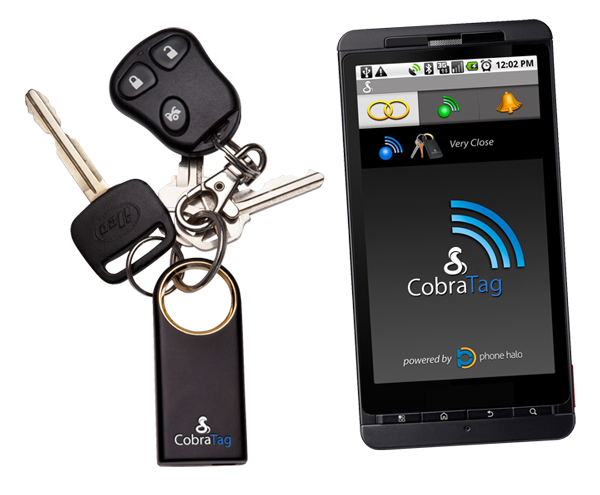 This one is for those users who often misplace or forget the car or other keys, this key chain has a sensor which attach with your phone by using cobra tag app and you can locate anything anytime everywhere within the range of 400 meters, very reliable and innovative but it could take out extra cash from your pocket. 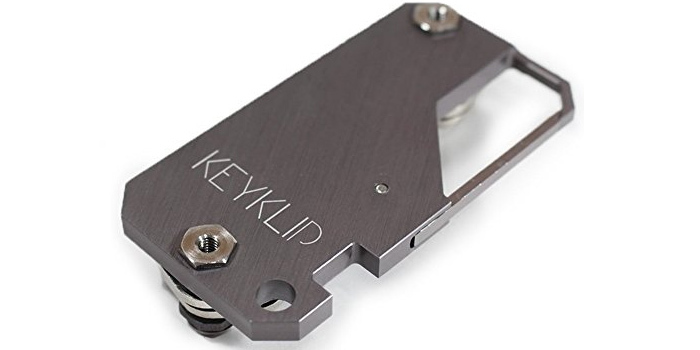 This one isn’t fixed for key chains, you can customize up to six slots for different purposes such as fixed blade, USB flash drive, Led Lights, membership cards and so on as per your requirement. 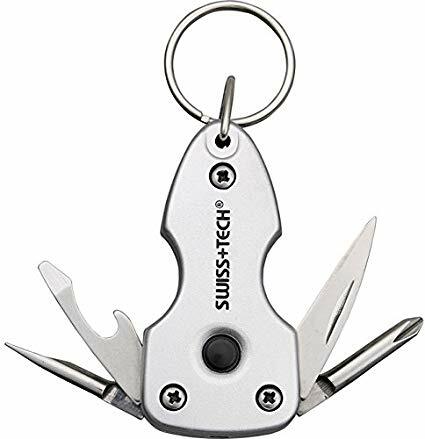 Compact design to carry up to 3 keychains at a time, the specialty of this product that it will not make a noise in your pocket while carrying, it also has an extra ring for a vehicle key in order to offer a complete package for the customer. 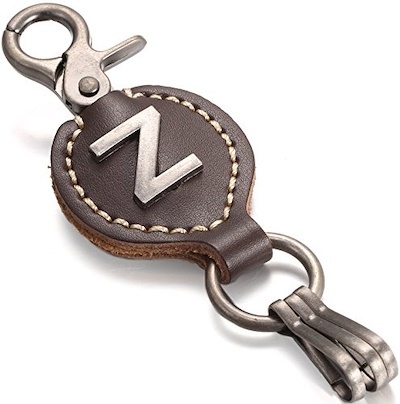 Old design but still very popular in the market, you can purchase whatever the first name of a letter on a keychain, made from genuine leather with larger uppercase of first alphabet offer by Marino ave, you can hang up to 4 keys including remote key. 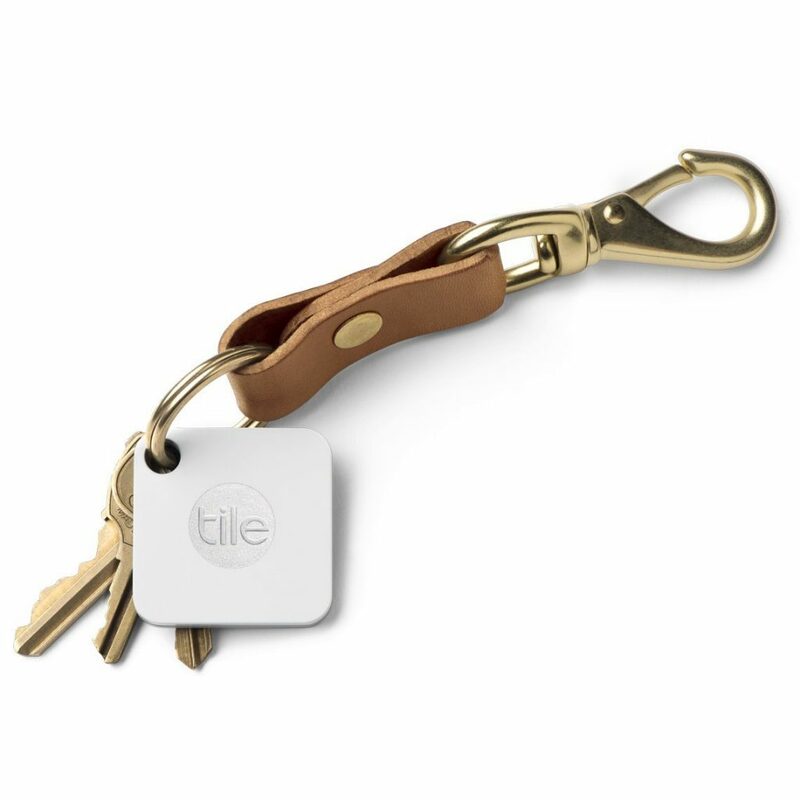 This one so far the best under the category of this technology, it can find your iPhone and all items attached with the ring of tile up to 200 feet, smart, stylish, light and easy to carry in a pocket, bag, wallet and any item you think would need to be under proper watch, Tile gadget has a free app which you can download in to your phone and locate or find all things attached with the Tile. 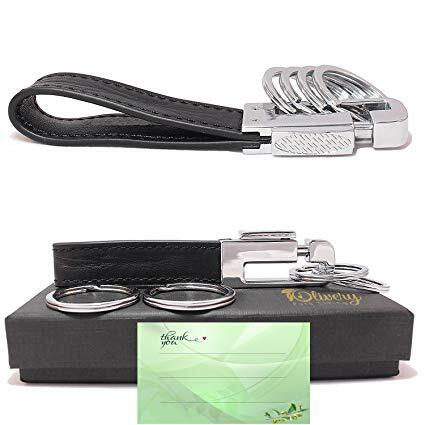 Olivery leather valet not only has 5 star rating out of 900 buyers on amazon that would be a good weightage to choose among the list of cool keychains for guys, Oilvery has a length of 2.6 inch with 0.7 inch width, made from high quality alloy zinc and leather to last for years, simple, stylish and easy to take it by hanging with your trouser belt, it has 4 key rings but you can accommodate more than this in case you need it. 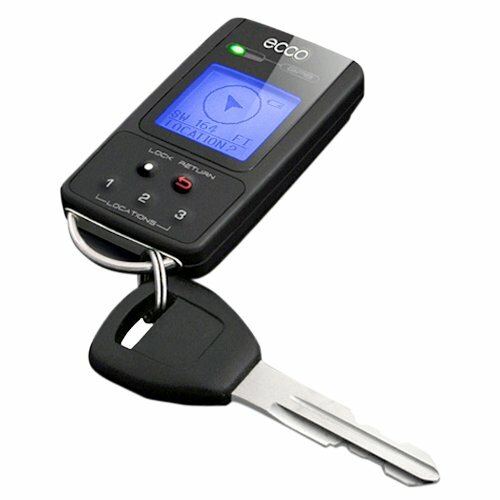 Audiovox keychain has a capacity to carry just only one ring, however this one typically designed for those who frequently get lost a lot and this GPS device can store three location which can guide you from anywhere to the location you feed in to it. 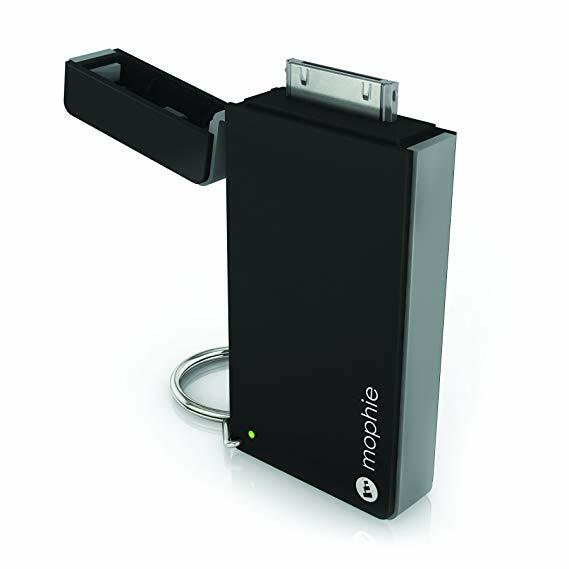 An extra small pack of power in this key chain, it could provide extra hours of battery in case of emergency situation where no possible nearest location there for you to get your phone charge for important calls. 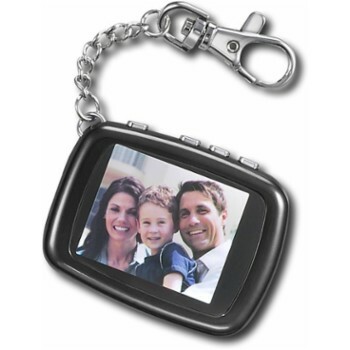 It can display photos on this keychain, very light with the diameter of 1.8inch, 160 x 123 pixel Lcd screen resolution with a weight of just 7 ounces, it can store 40 photos by USB and an average running time of 4 hours maximum. 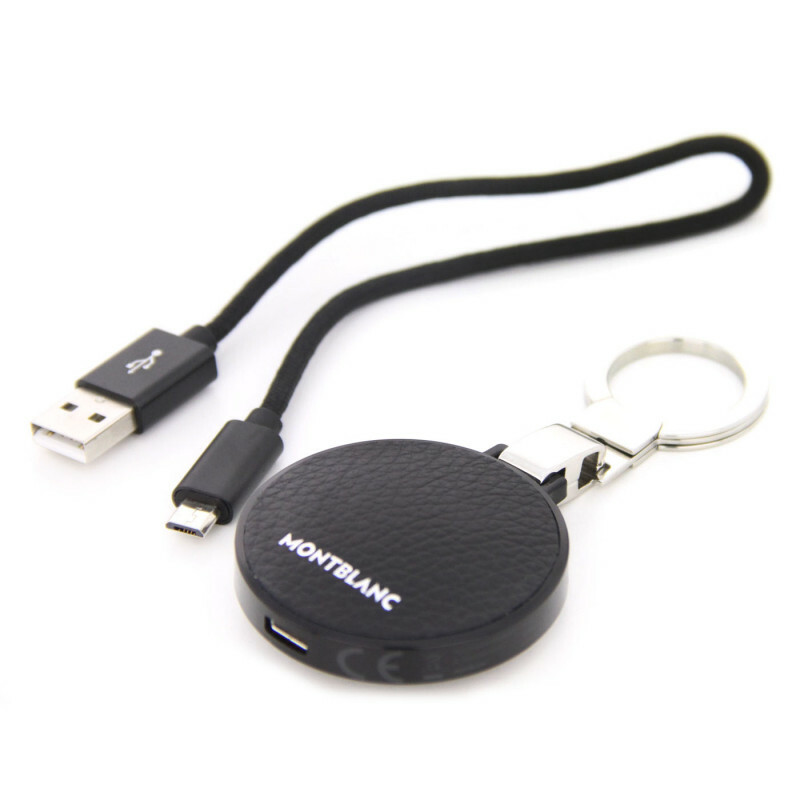 Smart, luxurious, Elegant and stylish e tag black by Montblanc, it works via using Bluetooth device paired with your phone and let you know in case of keys lost in a room or you suddenly out of range. 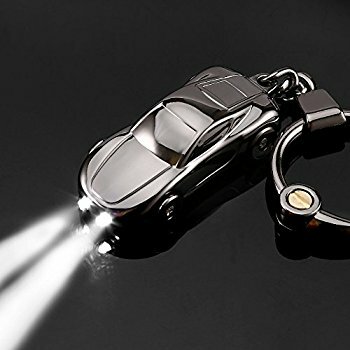 A product of Jobon made from high quality zinc alloy and shiner for finishing to make this one as bright and shine as long as it can be, it also has two mode of led lights, and this one is more like a car decoration rather than a keychain. 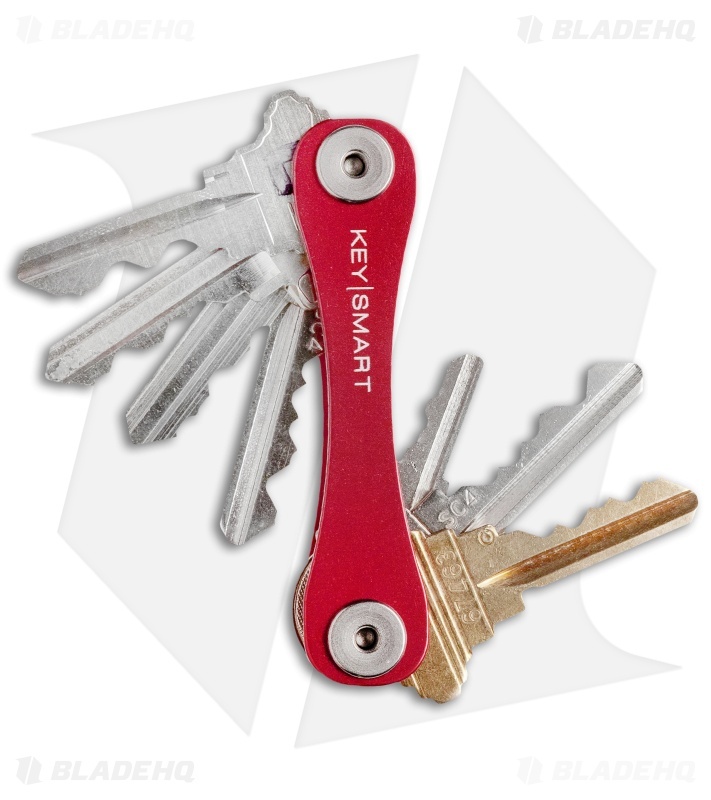 It has a multi tool kit installed in this keychain along with the key ring to make a useful in case of emergency situation, the tools include Philips screwdriver, bottle opener, Led Flashlights, Flat screwdriver, and knife. 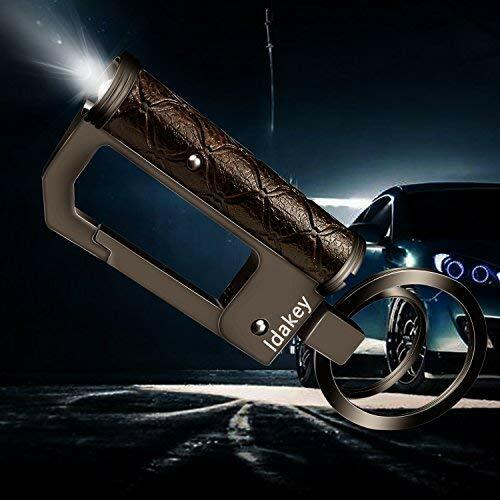 Made up of high grade metal material, it includes not only to carry for keys but other tools such as bottle opener, Led light function, easy to handle and operate a composite of two elastic keyrings and two pieces of extra batteries. 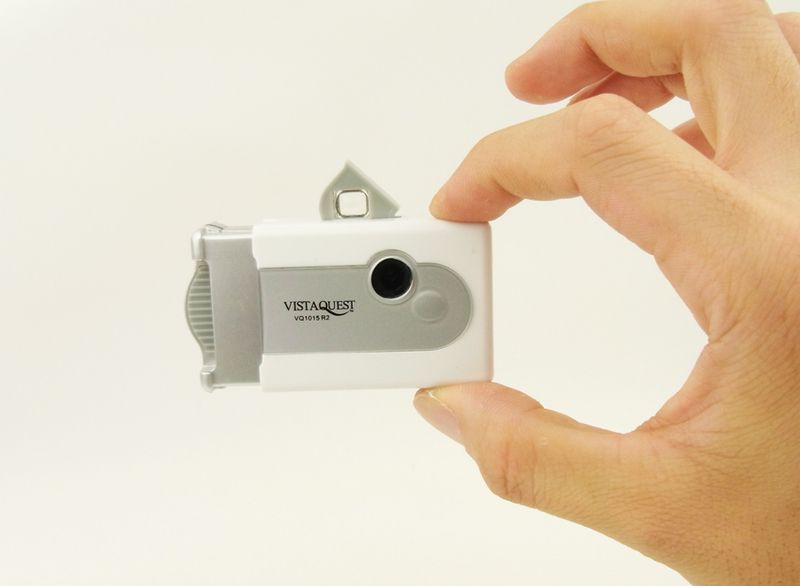 Although you wouldn’t need a camera thanks to a smart phone, but in case you need to take a photos then this keychain would be the best option, 1.3 megapixel camera measures 2.3inch wide 1.5 inch tall 0.8 inch thick and has a SD slot for internal storage, Lomo vistaquest available in various colors options to choose.